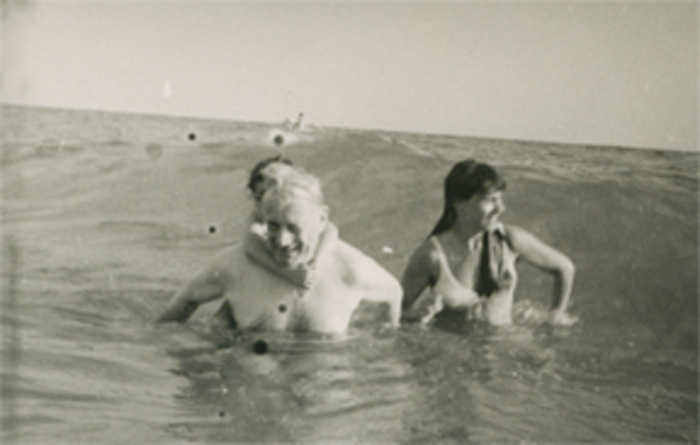 Nicole Beaurain, Henri Lefebvre, and their daughter Armelle in Sitgès (Catalonia, Spain) in the early 1970s. Photograph by Mario Gaviria. 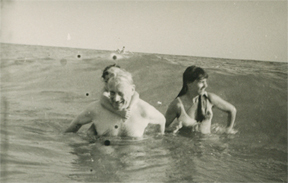 Archive of Nicole Beaurain, Paris, France. Courtesy of Nicole Beaurain. 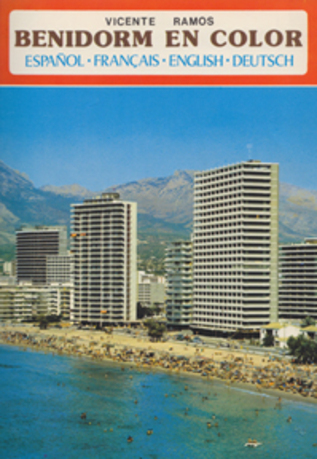 Toward an Architecture of Enjoyment (Vers une architecture de la jouissance) originated as a commission for a larger sociological research project on the tourist landscape of Spain in 1972. 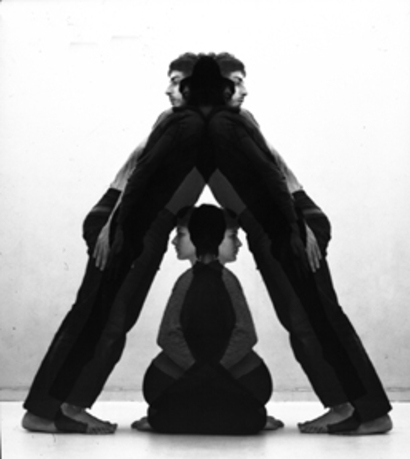 It explores architecture in relation and autonomy to, larger transformations of society, labor, and the everyday. Arguing that architecture should not be viewed only as an effect or instrument of larger social institutions, Lefebvre charts a dialectical understanding between architectural imagination and the forces that try to confine or limit it. Editor Lukasz Stanek's critical introduction situates "jouissance" as a key concept in the larger constellation of Lefebvre's work on space and lived experience, and articulates how the manuscript addresses broader architectural and political debates of the period. 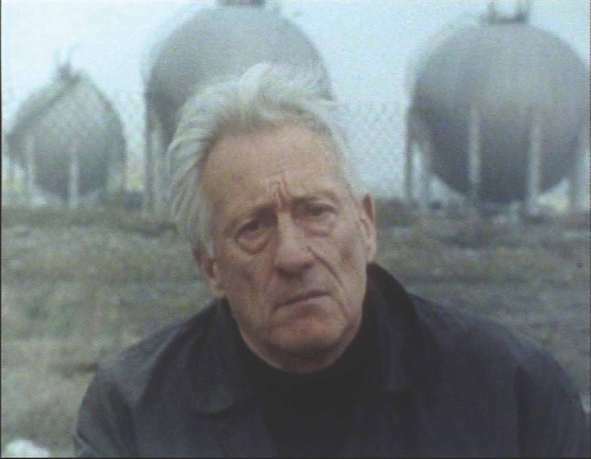 Henri Lefebvre was a noted Marxist sociologist and philosopher whose writings on urbanism and space have been widely influential across multiple disciplines, including philosophy, sociology, political science, geography, and literary studies. His treatment of modern urban society resulted in the production of several works that have become classics of urban studies. 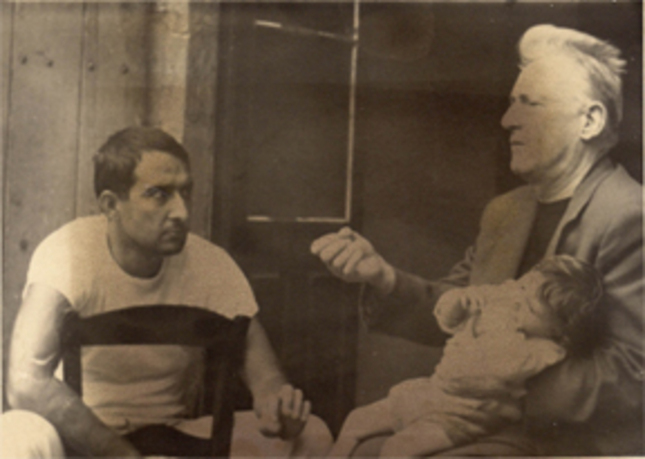 Lefebvre was among the first scholars to recognize the implications of alienation and disaffection in modern life and their impact on rural traditions. His books include The Critique of Everyday Life; The Production of Space; The Urban Revolution; State, Space, and World: Selected Essays; and Dialectical Materialism. Lukasz Stanek is the 2011–13 A. W. Mellon Post-Doctoral Fellow at the Center for Advanced Study in the Visual Arts (CASVA) at the National Gallery of Art in Washington, D.C. 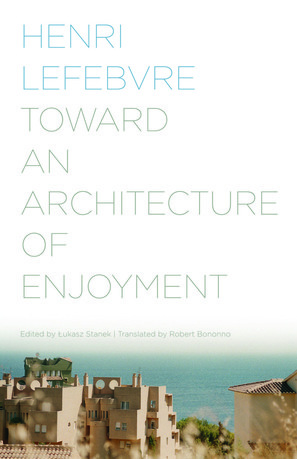 In addition to publications in books and journals, Stanek authored Henri Lefebvre on Space: Architecture, Urban Research, and the Production of Theory (University of Minnesota Press, 2011) and he is currently editing Henri Lefebvre’s unpublished book about architecture, Vers une architecture de la jouissance (1973). Both projects have received support from the Graham Foundation. Stanek’s second field of research is the export of architecture and urbanism from socialist countries to Africa, Asia, and the Middle East during the Cold War. On this topic, he published “Miastoprojekt Goes Abroad. Transfer of Architectural Labor from Socialist Poland to Iraq (1958—1989)” in The Journal of Architecture, vol. 17, no. 3, 2012. He has taught at the ETH Zurich and Harvard Graduate School of Design, among other schools. Robert Bononno is a renowned translator with over sixteen years of professional translation experience. He has taught at New York University and at the Graduate Center of the City University of New York. His translations include Cosmopolitics I & II by Isabelle Stengers (2010–11) The Urban Revolution by Henri Lefebvre (2003), The Singular Objects of Architecture by Jean Baudrillard and Jean Nouvel (2002), and Cyberculture by Pierre Lévy (2001), all published by the University of Minnesota Press.